It's an interesting idea. For now, let me know in this thread if there's a first or last name you'd like to see in the game, and I'll add it if it's not too silly or offensive. Added them to the spreadsheet, so now there's an extremely small chance that they will appear in the game! 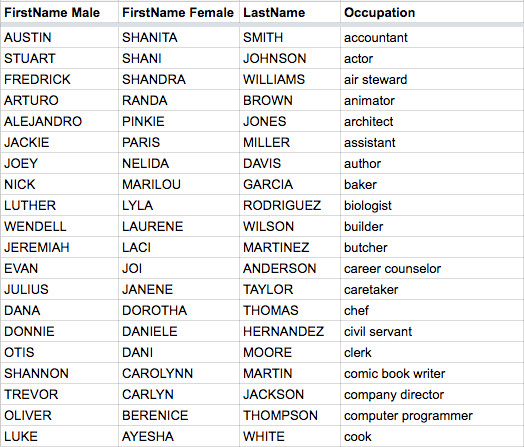 The way it works is it picks a random first name and random last name and puts them together. ohh, so you dont actually say them and instead the program itself reads it out, am i right? and some code to make sound files for all of those (except occupation for now). It'll be sooo cool to have this in the game...since I <3 jacksepticeye. Added Xekail as a male first name. Is that right? :) It's an unusual name! How about "Alduin" or "Bogdan"? Do you have a Peyton Or a Walker? in the names list I mean. Don't ask why, because I don't know. Why not South American names? Hello Doborog games. I have sent three feedback reviews and I hope all three of them got to you :) if my name isn't silly enough, O would like if you could add it to the human's names. My name is Russell Ramos. Hey! I am King Zaerdric and this game did very well on my channel new gaming, I love it and I'm clearly not the only one! I would absolutely love if my name was in this. It can be my YouTube name or my real one, which is Zach Dilbert. Continue with the good work on the game! I'm eager to play it more and keep getting better and better at it! sorry didnt mean to be offensive how about, lawyer. Anyway Aidan Albelli is my own name so occupation being Hobo was a joke because I was trying to like self burn myself, but whatever. Sorry for offending you. You didn't offend me, I'm just worried that if it IS accepted, the creators will get a big scolding from all the people who do take offense. Last names: Chips, Chops, Steak, Doritos, Hamon or Salmon. So many names! I'm going to go through this post and add all of them in bulk closer to the launch of the next update! I might make a google form at some point. That way I could just copy the names over in the same format. how about a little easter egg that only appears after finishing story mode when its done? 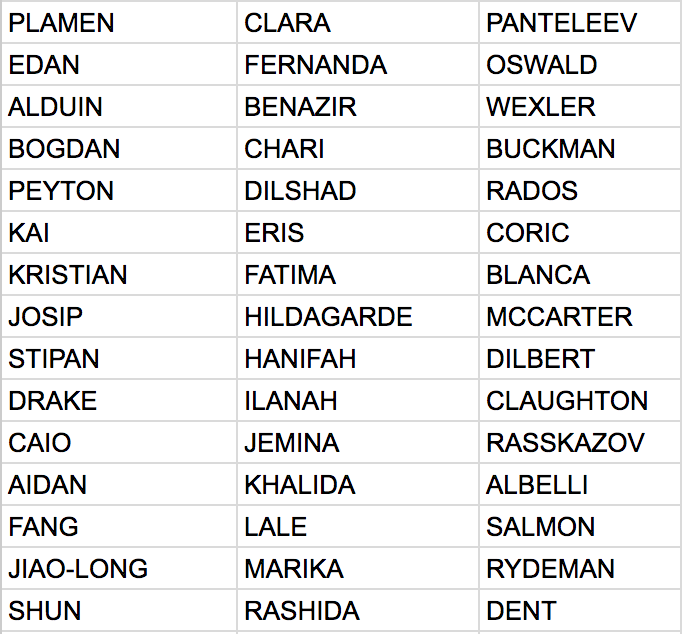 Names added for Dec 2 build! Please reply below this post if you want your name included in future versions. Added Dent and Mcmillian though!